Then the Lord said, “I have surely seen the affliction of my people who are in Egypt and have heard their cry because of their taskmasters. I know their sufferings, 8 and I have come down to deliver them out of the hand of the Egyptians and to bring them up out of that land to a good and broad land, a land flowing with milk and honey, to the place of the Canaanites, the Hittites, the Amorites, the Perizzites, the Hivites, and the Jebusites. Homer Simpson—always the dispenser of great wisdom—says this in an episode of The Simpsons while running a red light: “If I don’t see it, it’s not illegal.” At face value, this seems ridiculous—just because we don’t see something does not mean we are exonerated from it. Yet, I imagine many of us subconsciously believe this. For example, we pass someone in need, pretending not to see that person. But as long as we do not see that person, we do not need to help him or her—we are exonerated. Perhaps you have even done that with hearing, too. Someone asks you to do something but you pretend not to hear, you ignore the request. For those who are married, maybe you do that with your spouse sometimes. Though we are sinful people who can pretend to be blind and deaf at times, God is not like that. God said to Moses, “I have surely seen the affliction of my people who are in Egypt and have heard their cry because of their taskmasters” (v.7). The phrase translated surely seen is a Hebrew idiom, literally saying, “I have seen seen.” The verb is repeated twice to add emphasis. God surely saw the pain and suffering of His people and when God sees something, He moves. He does not turn a blind eye and pass on by. And not only does God move, He comes down. The God of the universe who rules over everything is saying that He is coming down; He is getting off His throne to come and deliver His people from slavery. Further, not only does God come down to His people to rescue them, He brings them up. He did not just free His people and tell them, “Good luck out there in the desert.” He brought them up to the Promised Land, to “a good and broad land, a land flowing with milk and honey” (v.8). That is the pattern of God’s activity in our lives. He sees us in our need, He comes down to us, and He brings us up. What are you going through right now? Are there struggles or sufferings you currently face? God surely sees you. And when God sees, He moves. When you cry out to Him, He comes down to lift us up. Today, let’s cry out to God, knowing that He surely sees you and He will not pass you by. Prayer: Lord, thank You that You see me. Who am I that You would even notice me? Yet, You see me and hear my cries. May I trust in You to always be my Redeemer—the One who comes down to lift me up. Amen. Read Psalm 34:15-18: The eyes of the Lord are toward the righteous and his ears toward their cry. 16 The face of the Lord is against those who do evil, to cut off the memory of them from the earth. 17 When the righteous cry for help, the Lord hears and delivers them out of all their troubles. 18 The Lord is near to the brokenhearted and saves the crushed in spirit. What does it mean that the eyes of the Lord are toward the righteous? What is the pre-condition to the Lord delivering His people out of their troubles? To whom is God near and what does He do for them? At the surface, this verse may seem to mean that God only looks towards those who are good, that you need to earn His attention. Yet, the biblical picture of righteousness is more about being in right relationship with God. The righteous are those who depend on God. 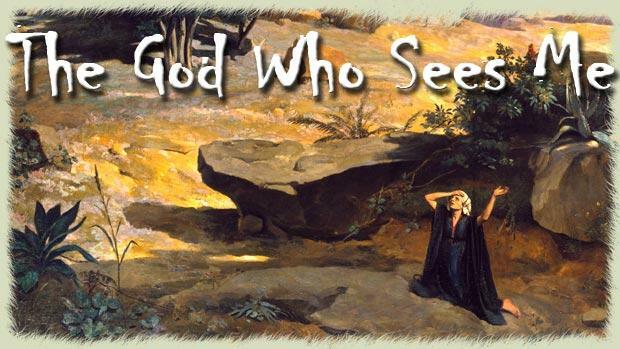 God does not forsake those who depend on Him; rather, His eyes are always upon them, to help them in their every need. The pre-condition is crying out to Him. This seems so straightforward, yet so often we try to do things on our own. We either don’t want God’s help or don’t think He’ll actually help us. But when we cry out to Him, He sees us and moves to deliver us. He is faithful! However, the way He helps may not be the way we want; that’s why dependence on God requires trusting that He knows what is best. God is near to the brokenhearted and He saves them. As Jesus said of Himself, “a bruised reed he will not break, and a smoldering wick he will not quench” (Matt 12:20). God is gentle to the broken and He hears the cry of those who are crushed in their spirit. Remember, the God who is all powerful is the same God who comes down to us in our need to deliver us. This evening, cry out to the Lord. Be honest with Him about the things that are weighing heavily on your heart. So often we bottle up the things that burden us; release them to the Lord and ask Him for His help. Allow His peace to come to you as you sleep tonight.